You Found Mold, Now What? With plenty of tasks demanding your attention, discovering mold in your home or business can feel like the last straw. It seems like yet another major problem to deal with. 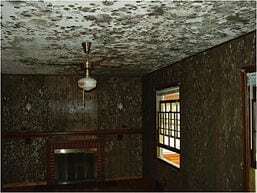 If you don’t have a background in mold remediation you may not even know where to start. Mold is not something you want to trifle with. If you try to clean it up on your own, you could be in for a larger mess. Disturbing the mold spores without proper precaution can sending them flying through the air which could lead to health problems for people inside your home or building. Another problem with DIY mold cleanup is being sure you have gotten all of it. According to mold remediation expert Michael Pinto, when mold is visible on a wall there is oftentimes five to ten times more mold behind the wall. If you decide to call a mold remediation expert, how do you know whom to call and if the business you call is trustworthy? If you are not familiar with the mold remediation process, how can you be sure the job is being done properly? Is hiring a professional really better than tackling the job with a bucket of bleach and a sponge? In an effort to answer those questions and give you peace of mind, A&J has put together a mold remediation procedure outline. Whether you ask A&J Specialty Services, Inc. DKI to hep you or hire another company, this guide will allow you to know what to expect throughout the process. Being an educated consumer is the key to being a smart consumer. Click the link to view the slideshare to learn the mold remediation basics. If you have more questions please give us a call at 608-846-9525 or click the link to contact us.